Sandra L. Caron is a Professor of Family Relations and Human Sexuality at the University of Maine. She has been both professionally and personally involved in college athletics. She is a graduate of the University of Maine and Syracuse University. She has served as a member of the University of Maine Athletic Advisory Board for more than a decade, and director of Athletes for Sexual Responsibility, a nationally recognized peer education program that trains student-athletes to educate others. She developed the unique card game, Hockey: The Card Game, which is marketed to youth, college, and pro teams. Personally, she has been an avid, but average, college hockey fan. She is also the co-author of a similar book on football entitled, Tackling Football which she wrote with a former football coach. This book was driven by her desire to make the game more understandable – and therefore more enjoyable – for herself and other fans. Coach Tim Whitehead is the Head Hockey Coach at Kimball Union Academy in Meriden, NH. He was the Head Hockey Coach at the University of Maine from 2001-2013. A six-time Finalist for the Spencer Penrose Trophy as Division I National Coach of the Year, Whitehead won the award in 2002. In 2012, he led the Black Bears to their 7th NCAA Tournament appearance in 11 years, a run that included four NCAA Frozen Fours, two National Championship games, and the 2004 Hockey East Championship. 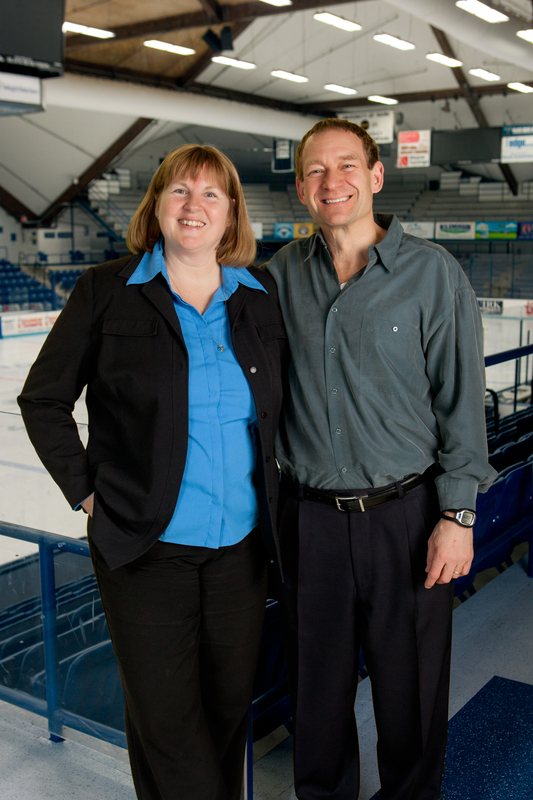 Prior to his position at UMaine, Whitehead was the Head Coach at the University of Massachusetts Lowell, and an Assistant Coach at UMass Lowell, Maine, and Middlebury College. Whitehead played professional hockey in Europe before starting his coaching career. He earned his undergraduate degree at Hamilton College and his Master’s degree in Education at the University of Maine. Tim and his wife Dena live in Meriden, NH with their two children, Natalie and Zach.